Twas the night before Christmas... and you should have sorted all your presents out by now! 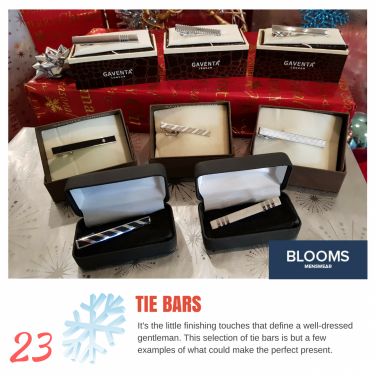 A wide range of tie-bar styles to suit all tastes on today's advent post. 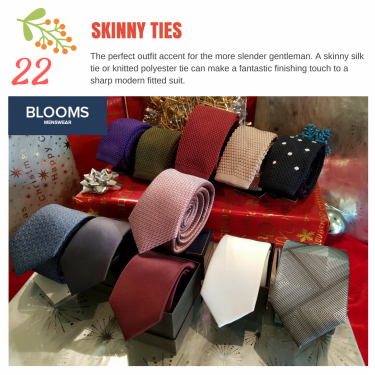 Worn with a modern slim fit suit, a skinny tie is just the ticket! 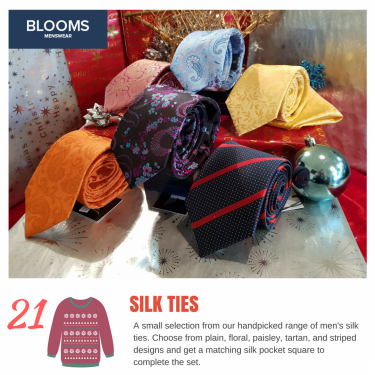 Whatever colour and style your shirt and suit is, we've got the perfect tie to compliment your outfit. 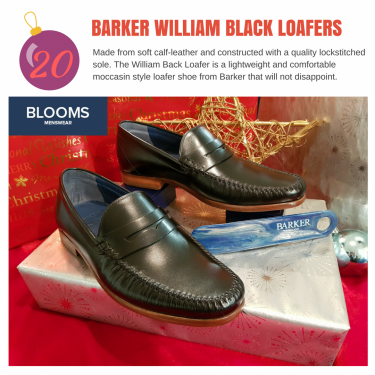 Tasty and comfortable shoes are on today's advent calendar here at Blooms! 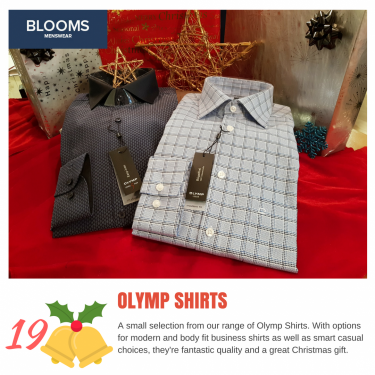 Olymp shirts are a real favourite with our customers all year round because of their fantastic fit and quality. 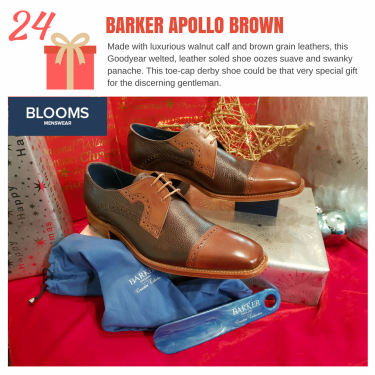 Treat your special gent this Christmas.